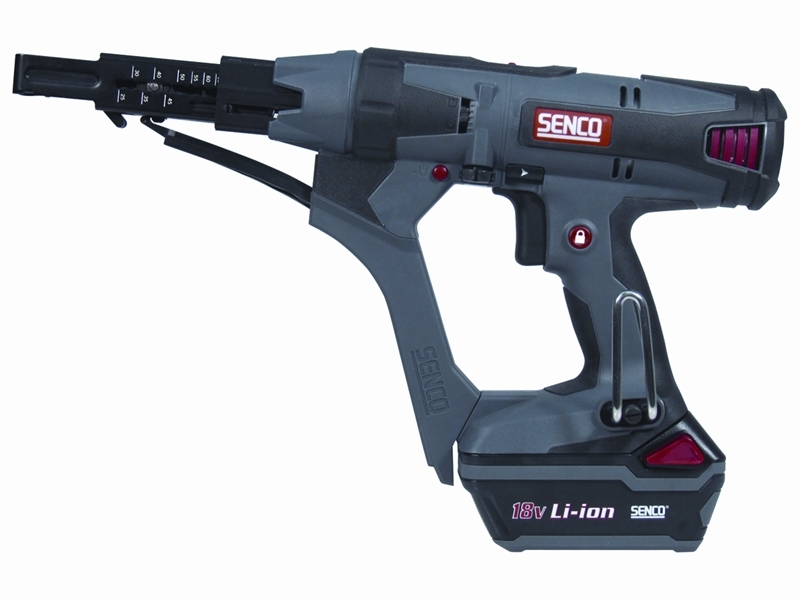 The Senco DS7525 Cordless DuraSpin Screwdriver has a high power 2500rpm, high torque motor with a variable speed trigger and trigger lock. It has the capability to drive 25-75mm screws making it the professional's choice for driving a wide variety of screws into many different applications. Thanks to its cordless technology, it can reach places where corded can't. 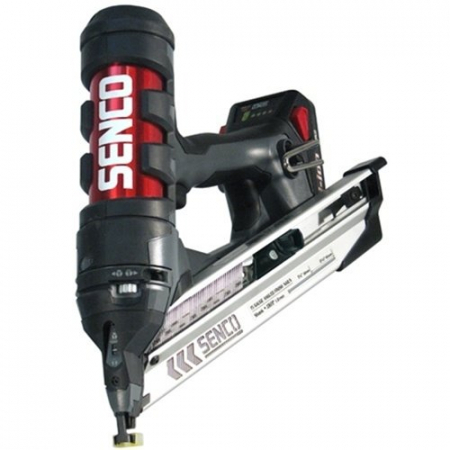 Includes Senco's patent pending corner-fit technology that eliminates the screw placement challenges of other auto-feed screwguns. Tool-free screw length adjustment and patented sliding screw guide make it easier to switch between applications. It also has a quick slide bit change system. 2 x 18v 3.0Ah Li Ion Batteries. Comes complete with two drive bits, drywall and wood nose piece, belt hook (right or left handed adjustable), two 18v Li-ion batteries, charger, and robust carry case.